Right now I'm trying to get a lot of things done. I know I won some books. I'm currently reading two and I will get to the others as soon as I can. So please give me some time. I'm also working two jobs and going to school. So I'm doing my best to get all things done. Sorry I haven't updated anything yet. This is a good book. Its starts with a prophecy about 5 dragons that will pick the next sandwing queen. But one of the dragons from the prophecy is killed before they could hatched. Later on one dragon a mudwing hatched first and the other older dragons thinks that he was trying to killed the other eggs. But he wasn't he finds out about that later on. The others are all supposed to have different abilities but they don't know any of that cause they wasn't raised with there type of dragons. They get a visit from the nightwing that made the prophecy. He finds out about the replacement dragon they got from the rainwing tribe. He talks to all of them then takes the nightwing that was raised here to talked to alone. When he returns he said he wants to not see that thing (rainwing) no more. Later they chain up the seawing so she can't do anything. So the mudwing spies on there minders and hears the skywing minder is going to kill the rainwing tonight. That's when they come up with a plan for the rainwing to stay hidden in camouflage while the mudwing swims down the cavern in the underground river to find a way out so they can find the opening to the cavern to escape. Later on the mudwing is helped by the seawing that got free from her chains with the help from the nightwing and sandwing by using there fire to break the chain. while the seawing and mudwing gets out into the open. the others start a fire so they can locate the opening of where the study room is. when they get out they meet the queen of the skywings. to get away from her they hurt her. while evading her they find the opening and get they cavern open but the outside. only to allow the queen of the skywings to find them and take them capture along with he skywing that was raising them. They later find out that the little sandwing friend is going to be a present to one of the ruling princess of the sandwings and the there rainwing friend has become some sort of art for the skywing queen. Each one has to fight in the arena. the mudwing meets the skywing queen champion which is a dragon that has too much fire in her and that no one can touch her with out dying. She is told never to go near the mudwing but doesn't know why. She likes him but doesn't like his friends. She wants them to go away an leave the mudwing there. Later during a trail that she wasn't supposed to be there but she was hiding under the wing of the mudwing. when she finds out that her mother she though dead was a live and left her there to become what she is. She doesn't realize that's not true till an older dragon tells the truth. that both though that each other was dead. a deal was made to let one baby dragon live and there mother if the mother kills one of her babies. since one had to little fire (boy) and the other to much (girl). the mother kills the the one with to little fire. but then the queen tries to kills them when the mother grabs her daughter to fly away were she has to much fire she burns her mother who drops her and think that she has kill her daughter as well. so she flies away. the daughter fights for her mother life. but the dragons of prophecy escapes after the nightwings comes to claim the young nightwing and takes him away. After they escape with the young sky dragon and her mother. her mother leaves and the daughter goes back to the skywing kingdom. 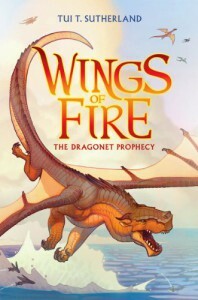 the young dragons of prophecy goes to the mudwing kingdom on the outsite of the kingdom to find his mother. when he dose she doesn't want him and he was sold to the other dragons for there prophecy. He dose find out he has siblings that tell him everthing he needs to know about being a mudwing. And that when he hatched first that he was supposed to help his other hatchlings out of there eggs cause he is a bigwing and that whats they do. they protect and take care of the other hatchlings. they deiced to go to the seawing kingdom cause the seawing in there group is that was taken from the seawing queens hatchery. I am looking forward to reading the rest in this series. This is a good book to read. I couldn't put it down. Its about a young pup being born with a spayed pawed. When the obe comes and takes him away to die or to survive on his own. On that night his eyes and ears open up when a loud noise happen he is washed away down river. That is when he meets his second milk giver, Thunderheart a grizzly bear, who came to the river to die cause she lost her cub to a cougar. But instead found a little wolf pup that she takes as her own. Thunderheart names him Faoloan. She teaches him everything she knows and gets him to make his spayed paw stronger than the others so he doesn't have to have a weakness. Later on she has him eat the best parts of all his kills to become stronger and to run faster than anything. As he grows he learns about what to eat and how to fish. During a winter Thunderheart explains that she will go into a sleep that will last till spring. She tells him to go out when he's bored to eat and drink then to come back. Later one day he does and she wakes up confused she goes looking for him. but never finds him cause a quake happens she is killed when a boulder hits her head. Later Faolan comes back to the cave an discovers Thunderheart gone. He stays till he can't any more. An thinks that maybe she went to the outermost. 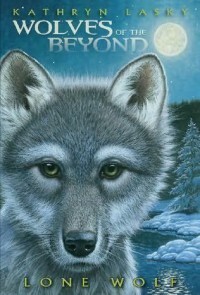 There Faolan goes looking and he discovers wolves there that are not like the ones he heard one night. They don't work as a pack but as one for themselves. So he doesn't let them see him. As he leaves the outermost he finds a bear head that belongs to Thunderheart and knows what happen to her. He starts to follow the packs that lives in the beyond to see what they are like. One pack he knows he wont go to cause they remind him of the wolves of the outermost. Another is lead by a female alpha. The other he doesn't know this is that is the pack he was born in. Later after listen to a story form the Mac Duncun pack. The leader is called to them and he discovers the spayed paw print. Thinking that is the foaming mouth sickness. He calls the other packs to run this wolf that smell like a bear into the fire to kill it so that the sickness doesn't harm any of the packs. When Faolan is chased into the fire instead of dying he jumps the fire wall. That's when the old chieftain remembers that the obe took a young pup away with a spayed paw out into the wild to either die or survive the wilds to come back to the pack as a gnawed wolf. When he has a young gnawed wolf write the story for Faolan. The chieftain says when they return to the pack they will named him. That's when Faolan tells them that he already has a name from his milk giver Thunderheart the grizzly bear. Shocking the chieftain he asked the grizzly bear raised you. Yes and she named me Faolan. So you can called me Faolan. It was a good start to thus book. Going to have to get the rest so I know how it ends. I like short stories cause I can read them in my down time if I don't feel like reading a novel. If you like books on vampires and werewolves. You'll live this. Like I say a short story is very good to read in your down time or between novels. This starts off with a omega trying to get and alpha who already has an omega but is a norm, which means he's a human and not a wolf. After taking that omega home and leaving him there. He goes home to his omega to celebrate his birthday. And to forget everything that happened that night. Like when the alpha of the pack told him about vampires that was coming through the town and they will be staying at the inn. But one comes to his apartment. He finds out that his omega and this vampire use to be boyfriends till he become a vampire. He's come to warn his omega that a vampire is after him. That's were the first one ends. Hopefully the second will be just as interesting as the first. I really like this book. If you like books on mermaid and the ocean then you will like this one. As you start to read this book. 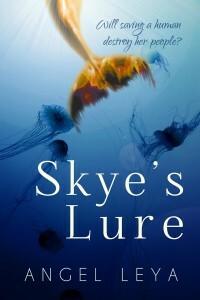 You meet Skye as she tells the story of how her people came to be. It is a story that is passed down to each pod that is born. While doing that she watches a boat with a golden bottom come around while the pod sleeps. It has all different color lights on it and a bunch of people moving around on it. One named Vince falls into the ocean where he is saved from dieing by Skye. When she meets him again its when he comes back to see if she was real cause all his friends said he was drunk and saw things. She finds out that the reason he fell off his boat was because he had a diseased that will make him loose all kinds of movement and that later on in his life he will have to be in a wheel chair for the rest of his life. Vince tricks into seeing land, his ship, what a computer and tv is. Even different types of food. After getting her to come aborad his ship by the used of a tank. he the course back to shore. And she feels the boat leave she tries to get him to take her back. But after telling him that if any other mermaid finds out about her talking to him it was a death sentence. He goes against her wishes an takes her to his home. He figures that if her and his dad could talk they can both help the ocean. But later finds out that after he paid a maid off for deleting a picture of Skye. His dads put it out to everyone to know that mermaids are real and that his son Vince has one. Vince makes a promise to Skye that he will take her home. He figures out a way. But on the way to leaving to his boat a report gets a picture of them together. Vince carring a mermaid. He makes it on board his ship and sets off. But on the way it is all over about the mermaid. Skye tell Vince that they have to find the Sea King that only he might be able to help. As they search the ocean for the Sea King. They finally find him. Skye asked the Sea King if there was a way for him to help. He gives her three days as a human to put things right and gives Vince three days as a mermaid. But after the three days they have to deiced which it will be. If they don't then he will. As the days goes on Vince is loving it to be a mermaid. But he knows he will do anything for Skye. As the days goes by Skye is having all knids of fun. Like running, walking, shopping, ect. On one of her days she has an interview with the reporter that took the picture of her an Vince. She tells its all a hoax and that they wanted people to know what it was like to have something only to be taking away. She also finds out she has the same diseased that Vince has. On there last day Vince tells her that if she want s to stay human he wouldn't mind that they can both grow old together even when both would be in wheelchairs at a certain time in there life. But Skye tell him no and that she want to be a mermaid once again. That's when the Sea King appears and said he was glad to be going back to being what she was. He tells her of a pod towards the north where she and Vince will be welcome in. And that there is others pods as well. Many mermaid would leave there home together as pairs. That's when she realize that both her and Vince has always had a bound from the time they meet. And that's when she finally realize that she got what everyone always wanted in life. I hope other people enjoy this book as much as I have. This is the second book to this series. And I really enjoyed reading this one as well. Its about how one lion in the pride has two children by a lioness but they aren't mates. Each wanted children Tai the lioness because she didn't want to wit for her mate to have children and Kevin because he knew his mate was male. Tai helps Kevin go on a website called Werekin Wanted. Its were all kinds of werekin can come and find a mate that is there true mate. As they look on the site. They make fun of some and comment on others till she passes a picture on a male. Kevin has her go back til he see the picture again. There he see a picture of Payce a jaguar shifter and he know that is his true mate. Payce works at a construction site. He love to work on mosica tile cause he can make all sorts of pictures come to life. But he will work on other tile work or on any time of construction. He has one friend called Dennis, who is a coyote shifter. Payce looks through his email from the werekin wonted site and find Kevin's email to him. He writes back to him and then received a message about coming to where kevin lives but tells him he can't cause he has to work but gives his number to Kevin to call him. When Kevin dose call him. Kevin tells him he can come down there and they can get to know him. When he gets there they start to get to knoe one anther. That's when Payce finds out that they are mates. An finds out that Kevin already knew that they are mates just by looking at his picture. Then all sorts of things happen. The PAW, People Against Werekin, Goes after Payce and all werekin cause they believe that all werekin so die. An that his best friend Dennis is helping them cause they have his sister. When that happens Kevin calls in his alpha mates Adrian who calls in his pack and pride cause the PAW has Kevin and Payce. They tell Payce over a phone called that the more the merrier for all werekin to come here and get Dennis. That when the wolves circle the coyote. But in the end they help the coyote find his sister. But then Dennis gets grabbed by Tai to be taught about loyalty and my be something else. I enjoy Amber Kell books very much. This is the first in her series. It's about one alpha who wants to make a alignment with a pride of lions so he offers up one of his pack members to mate with the lion. The alpha of the pride falls in love with Adrian who is the brother of the alpha of the wolf pack. Talan, the alpha of the pride, Know Adrian is his mate just by looking at his picture. Another reason why Kaden is glad his bother was pick is because there is a wolf in the pack who has been after Adrian ever since he join. But nobody knows why. That wolfs name is Olson. When he meets the pride for the first time. One of the Pride members crash his car. Then runs away. Adrian meets all of the pride. An as times goes on he marks Talan as a possible mate when everyone comes in as says he eating him. Adrian leaves for the kitchen cause he is stress out so he dose some baking that helps him relieve it. As he dose he is talking to his brother when his brother's mate gets on the phone and tells him that she has 3 brothers that love to shot thing if those lions are mean to him to let her know. He tells her he loves her and that's when Talan over hear things and get the wrong thoughts. After explaining things to Talan, Adrian is carried back to Talan bedroom and claimed as Talan mates but they are still not true mates until Adrian completes the mating by completing claiming Talan back. That is when they find out that Olson is starting trouble in town looking for Adrian. They all leave and Talan tries to keep Adrian safe but the way he dose it makes it feel to Adrian that Talan thinks he week. So Adrian goes home to his pack where they tried to help him cause he is depressed. An Talan is made to see that he needs to go after Adrian by his sister. When Talan gets there he finds a room full of shifters with no clothe on. He lets out a roar and everyone goes running. That's when everything comes to light. and Adrian claims Talan as his mate cause he love Talan. And Adrian finds out that Talan loves him. It end with his brother alpha of the pack coming to Adrian new home to make sure everything is alright and to ask his brother if what he did was right. Adrian tells him yeah it was and he looks over to where Talan is on a rock in his lion form watching his pride and making sure everyone is safe. 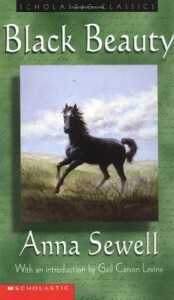 About a horse that starts off with a beautiful home then goes through a journey as he grows up. till he finds his way back home were he came from. His journey is long and for of hardships but on the way he learns a lot about what it means to live. Seryou will date anyone for a week to see if they can get him to feel anything for them if not they break up and it will start all over the next week. The first person who ask him is the one he will date for that week. Shino another bot from his school. asked him if he would date him. So now its up to Shino to see if Seryou will feel anything for him while they are together. He even calls his sister in law an tells her to stop calling him that he may of found someone. 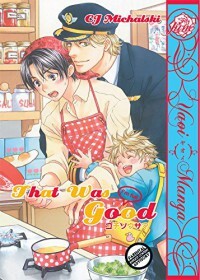 Hiroto takes a job as a housekeeper for a airplane pilot who has a young son after he loses his other job. The pilot son loves Hiroto food as trying it the one day he saw him eating in the park. As it goes on Hiroto starts to have feeling for Suguru (the pilot), and vice verse. Then one day Shuu, little brother to Suguru, comes an crash at his place for a while. That's when Shuu finds out about there relationship together and when his older brother leaves for his job that's when Shuu makes Hiroto to leave. After that Mamoru, Suguru son, doesn't want to eat but Shuu tricks him into eating. When Suguru gets back and finds out he goes looking for Hiroto and try's to trick him into staying with him. While that's goesing on his son runs away. Hiroto helps find him in the park when they both first met. And that's when Suguru gives him a ring and they find out why Shuu can to Suguru place in the first place cause some boy asked him out. And he leaves to go back to school. 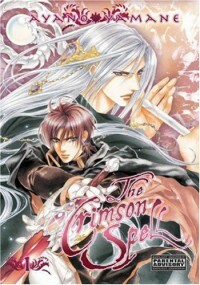 A young prince saves his little brother and people by taking up a curse sword. This sword will change anyone with the blood line from the royal family into a demon. Prince Vlad sets off to find a wizard to see if he can set him free from the curse before its to late. He wear handcuffs while he sleeps to keep the demon he is become locked up. But if the handcuffs comes off while he's asleep he changes and the demon side if free. But he never remembers anything he dose while in that form. The wizard Havi , finds out what it's like to see the demon side of Vlad one night when he takes the cuffs off him. but he brings out the passion in the demon that night. When morning comes Vlad doesn't remember doing anything but sleeping. They head off to fight a dragon so Havi will get something in return of helping Vlad. But instead he kills it and has to save Havi life from entering the place that the dragon was guarding. The spirit of a young wizard was the dragon an he helps as well. They start to go to a Wizard towns were Havi came from to see if they can look at some of the older books to learn more about the curse on the sword. Havi finds out his old teacher was helping Vlad's father when the curse was but on the sword and that an enemy was the reason why there was a curse on the sword in the first place. Havi has to get Vlad out of there before he is killed by the other wizards for what he is. 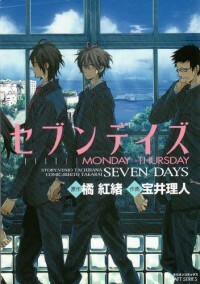 This is a good manga. Its about a young boy photographer who gets in trouble with the mafia. while taking pictures of someone he catches the eye of the leader of the mafia. they become lovers in a way cause the mafia leader is always catching him and getting him at of all sorts of stuff that always land in him in trouble. It wasn't a very long read. It had a lot of fighting among two packs that went by a ancient law about picking a mate. But that was usually done in the higher up packs that's was like they were like kings. one main character pick a mate who has to prove to her family he's good enough through the trails that all un mate males take to get a mate. while others do it the way the are supposed to cause they are told that there is one out there that is meant for them.